Oregon’s 2018 Legislative Session is Over: Victories, Missed Opportunities, and Next Steps. 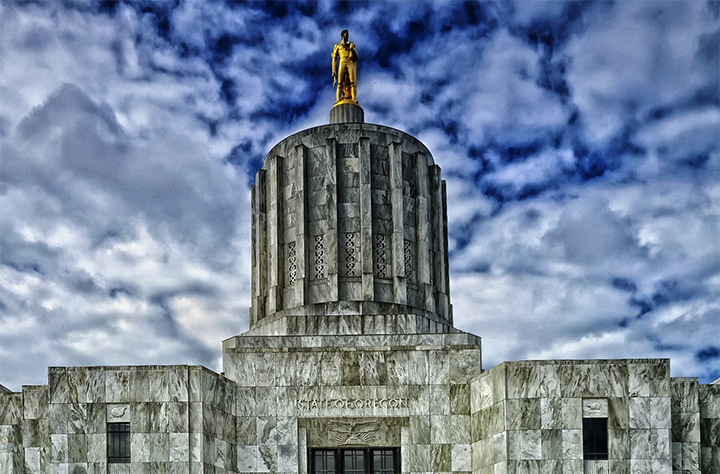 Oregon’s 2018 “short” legislative session came to a close on Saturday, March 3. While Oregon’s economy continues to improve, the recovery has not been shared equally. One in seven families in Oregon still experience food insecurity and Oregon has the highest rate of hunger of any state in the northwest. Hunger and food insecurity are experienced disproportionately by renters, people of color, people in rural areas, households led by single mothers, college students and kids. Increasing funding for affordable housing by $60 million per biennium by raising the Document Recording Fee. (HB 4007). Including $5 million for emergency shelter (HB 5021). Establishing a task force to study racial discrimination in housing (HB 4010). Requiring cities with a high percentage of renters that pay over 50% of their income toward housing to develop plans to address high rent burdens (HB 4006). The legislature included an appropriation for $300,000 for Oregon Food Bank’s network to increase capacity to store and transport fresh produce (HB 5021). At the request of Portland Community College, the legislature commissioned a study about how to ensure community college students are aware of public benefits for which they are eligible and that can help students achieve career advancement (HB 4043). The legislature did not take up paid family leave legislation in 2018. Whether you need time to heal from a major illness, take care of a parent or life partner, or are welcoming a newborn baby, everybody deserves paid family and medical leave. The lack of action in 2018 means Oregonians will wait once again. Legislators and advocates will continue to pursue solutions leading into 2019. Nearly a quarter-century has gone by since cash assistance levels through the Temporary Assistance for Needy Families (TANF) has increased. Families that participate in TANF often do so because of the need to escape a domestic violence situation or a job loss. TANF is a lifeline for Oregonians experiencing deep poverty and can prevent homelessness and other traumatic experiences. We endorsed a proposal to ensure that any savings due to lower caseloads would be put toward increasing the cash grant for families, but the legislature stalled despite bipartisan support. A work group will be established that will be tasked with forming recommendations for 2019. Finding safe, affordable child care for working families is extremely difficult for low-income families. Cuts made in 2017 to the Employment-Related Day Care (ERDC) program have reduced the program’s capacity to serve eligible families. Oregon has restarted it’s “reservation list” because there isn’t enough funding to meet the need. Funding for ERDC was not restored this session. One third of the calls made by Oregonians seeking help to 211Info are made outside of business hours (8-6, M-F). We endorsed an effort to fund 211Info so they can keep phone lines open 24/7. Needs arise at all hours of the day, and help should be available to Oregonians regardless of the time of day or the day of the week. This funding was not provided. In 2015, Oregon became one of a handful of states that committed to eliminating the “reduced price” category for school lunch, meaning that all families below 185% of poverty are eligible for free meals. In May, 2017 – a month before the school year ended – the funding appropriated to reimburse schools for the lunch copay ran out. The legislature failed to restore this funding. We envision an Oregon that is healthy, hunger-free and thriving. Communities are stronger when everyone has enough to eat. We look forward to spend the next several months listening to communities and will continue to develop policies looking toward 2019 that center the lived experiences of Oregonians living with food insecurity. We are pleased to announce the winners of 2017 November School Breakfast Challenge.